Working with eminent soloist Raphael Wallfisch, Tony Manson of Superspikes has developed an innovative endpin for cellos. This allows players who prefer to perform with a longer endpin, to maintain an effective contact point to the floor, notwithstanding the flat angle of the cello. T his has been achieved by having a very small bend in the Superspike’s rod, thus optimising the angle for the endpin’s contact point. The production model has the advantage of effectiveness, simplicity and elegance. Raphael has very generously allowed his name to be associated with this Superspike. T he tungsten alloy point, mounted in an elegant stainless steel rod, is hard enough to stick in any surface and tough enough to stay sharp. Players can enjoy the confidence which comes from knowing that their instrument will not slip. 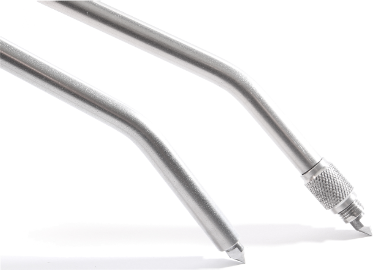 Our endpins are supplied with a spare point which is held in the reverse end of the rod. Each Superspike is individually made to the player's specifications and is available with or without the screw-down cover. The cover is retained captive on the rod. It can be screwed down to make the sharp point safe or screwed back to expose the point for playing. You may also be interested in our cello Superspike. Please order using the cello order form or contact us to discuss your requirements.